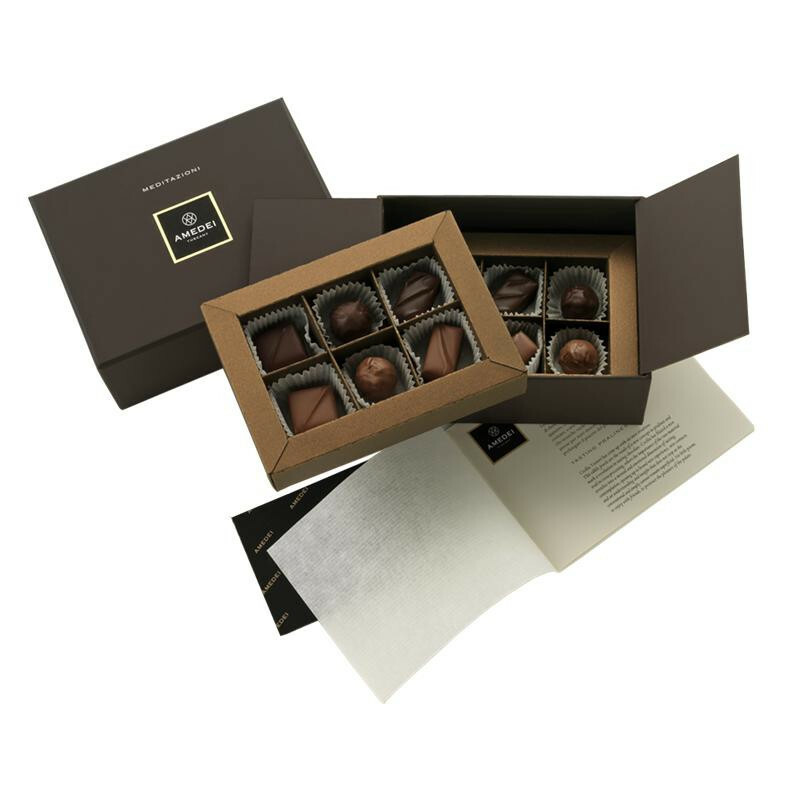 Amedei Pralines Meditazione 12 is an assortment of six distinct pralines, 2 of each. Internal ingredients: cane sugar, cocoa mass, anhydrous cow's butter, whole milk powder, cocoa butter, glucose syrup, hazelnuts Tonda Gentile Trilobata, dextrose, skimmed milk powder, coffee beans, natural extracts, distillates, almonds, vanilla. May contain traces of pistachio, walnut. Pralines contained in the package: Giardino (orange - alcohol), Scintille (liquorice), Radici (rhubarb), Equilibrio (ginseng), Cacao (Chuao), Chicchi (coffee).